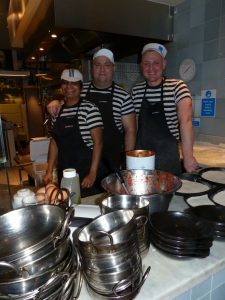 Thumbs Up for Pizza Express! 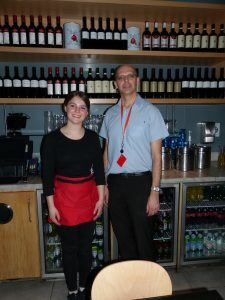 We recently visited Pizza Express at St David’s 2 and were greeted by Bianca. She was super friendly, took our drinks order and had a little chat with the children. As she is studying at Cardiff University, we wished her all the best with her future endeavours. Bianca took the children’s order for starters: ‘dough balls’, and as always they ate every single item on their plate. As for the adults, we saved ourselves for the main course. We all opted for the obvious choice, pizza. But as I love spicy food, I went for the hottest choice on the menu, ‘Diavolo’. A fiery combination of hot spiced beef, mozzarella, tomato, green pepper, red onion, tabasco and I chose Jalapeno pepper although there is the choice of Roquito peppers too! This option normally comes with pepperoni, but I asked for mine without. 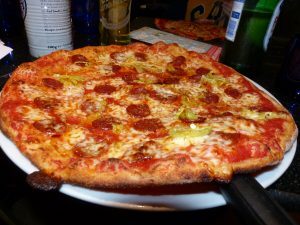 The children went for the classic Margherita pizza and the others chose the Leggera American Hot which consists of pepperoni, light mozzarella and tomato, with your choice of hot green, Jalapeno or Roquito peppers. Whilst we waited for our food we enjoyed a beer, however there was a limited edition cocktail on the menu, for that special treat! Isabella served our mains and was there on standby to see if we were happy and needed more drinks etc…I cannot rate the staff highly enough! She made us feel very welcome and assisted us in choosing recommendations on the menu. Manager, Steve, was keeping busy in the background seeing to customers and ensuring they were happy. He came over to us and was so accommodating, friendly and polite which is a testament to how the place is being run. Above everything, the service from each member of staff was superb. We will definitely go back when shopping at St David’s 2. One, because our children love pizza, and two, because the staff treat their customers like they would a friend. 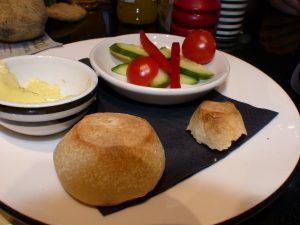 So if you find yourself walking past with the children this summer holidays, why not treat them to a three course meal from the kids menu, for only £6.95.